Spend a week learning new film and drama skills, and create short films that talk honestly to other young people about relationships! Join People’s Palace Projects (PPP) at Rich Mix Takeover Youth Programme to tackle some tricky topics – what are the pressures on young people’s relationships today, and how do you negotiate what you’re happy with? What do you want to say to other young people about the choices they face? We will be using drama skills to open up difficult subjects and discuss what we want to say about them. We will then create short films to share with others. Final sharing event: 5th August (Saturday) 5pm, at Rich Mix. 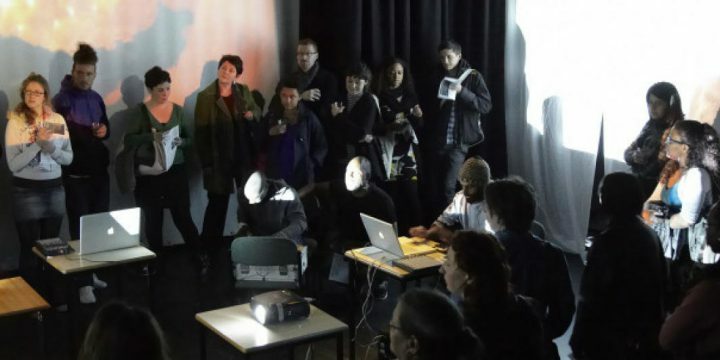 Both groups’ films will be showcased in a final event at Rich Mix, and everyone who takes part will receive a certificate from People’s Palace Projects – an arts and social justice organisation based at Queen Mary University of London, on Mile End Road. This project is funded by the Economic and Social Research Centre (Newton Fund) and PPP is a national portfolio organisation of Arts Council England. Expect to express yourself, have fun and work creatively while discussing today’s social relationships that relate to different areas of your life while learning new drama and film techniques! The workshops that will run within Can We Talk About It? will engage young people aged from 15-18 year olds in the process of creating film pieces on the subject, which will be shown at a final event on the 5th August at Rich Mix. Drama participation has been shown to build confidence, communication skills, discipline and concentration, as well as and increased sense of personal motivation and personal capacity for achievement. Applied arts work can change the way young people see themselves, and empower them to explore and reflect on their choices, building their belief in their own ability to pursue new pathways! You’ll be working with an experienced drama practitioner and a filmmaker, plus a group of young facilitators with experience in drama and film. Fill in the application from here and send it to renata.peppl@peoplespalace.org.uk until 15th July 2017. Availability is limited: 8 young people per week. First come first served basis.